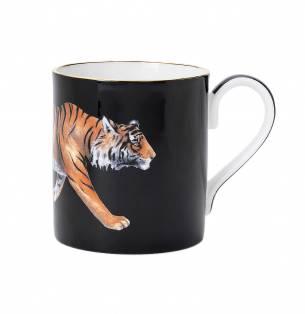 Our stalking tiger from our Magnificent Wildlife Collection saunters round our striking black mug. A wonderful gift for stylish homes, but animals from Halcyon Days will never go out of fashion. Find more Unknown Type or additional Princeton Magazine Store products.